Burger King is trialling loyalty schemes to the next level in Russia, swapping cards and vouchers for its own has bitcoin-style cryptocurrency. In Russia, The BK Lounge has started issuing Whoppercoins when people buy food. Save enough and you can redeem them for nuggets, burgers and King Bouqets Buckets in the country. A billion Whoppercoin have been issued thus far via the Waves paltform, and more will follow if demand does. Every rouble spent (59 roubles roughly converts to $1) earns a single Whoppercoin, and free Whoppers are 1,7000 Whoppercoins. Like other cryptocurrencies, users can sell and trade these online. Burger King is expected to release Android and iOS apps to track collections next month. 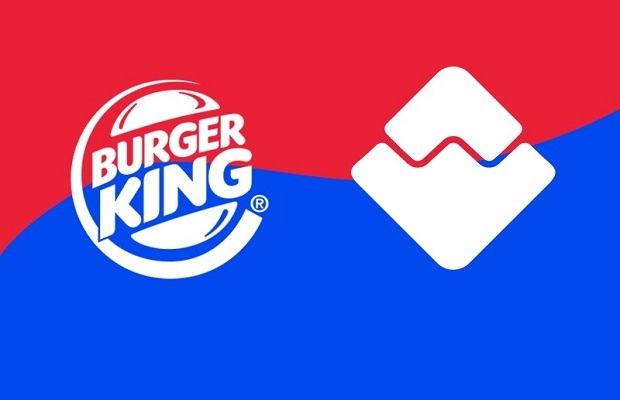 Burger King has partnered with crypto-cash start-up Waves to create and run the scheme. The tech company will run the blockchain ledger for the coin to keep track of who has coins and what has been done with them. Customers will be able to claim their coins by scanning a receipt with a smartphone. The crypto-currency is a stand-alone system that has some technical similarities to Bitcoin but is distinct from it. This means the company would be able to shut the system down if it found it was being abused. In a statement, Waves said that it had already generated 1bn whoppercoins to use in the loyalty scheme. The current cost of a Whopper in Russia suggests customers will be able to get a free sandwich for every five or six they buy with real money. Ivan Shestov, head of external communications at Burger King Russia, said the scheme turned the Whopper into an “investment vehicle”. On social media, some people reported that they had already managed to claim whoppercoins after eating at a Burger King in Russia.